On July 7, 2007, Machu Picchu was chosen as one of the New 7 Wonders of the Modern World; These were chosen by more than 100 million people around the world, through an open voting by Internet; The wonders were announced in random order by the New Open World Corporation (NOWC). The whole world is out there, and in Machu Picchu Ticket we know that any time is good to go out to see some of the most beautiful places on Earth. We invite you to know the Wonder of Machu Picchu; Chosen the best destination in the world in 2016 and possessor of some of the most amazing structures in the world. 78 monuments were selected from around the world, but the list was reduced to 21 and then to 7. The election was broadcast from Lisbon, Portugal, to more than 170 countries, and was seen by about 1.6 billion people; That is, one in four people in the world saw the live stream. The hosts were actresses Hilary Swank, Bipasha Basu and actor Ben Kingsley; Among the special guests were Astronaut Neil Armstrong, Bertrand Piccard, Federico Mayor and soccer player Cristiano Ronaldo, as well as dozens of leaders. Bernard Weber founder of the New Open World Corporation (NOWC) said: “Machu Picchu is testimony to the incredible value and vision that the Incas of the engineering had. Despite the wait, I was impressed when I saw the first terraces (and platforms) and majestic houses next to this high, incredible and steep mountain (and I thought I had climbed the mountains of Switzerland! ), I was dumb. The whole New7Wonders team was moved by the view. The good state and conservation of the houses, courtyards and, of course, the Intihuatana, show how sophisticated Inca society was, with its knowledge of astronomy, agriculture and engineering. 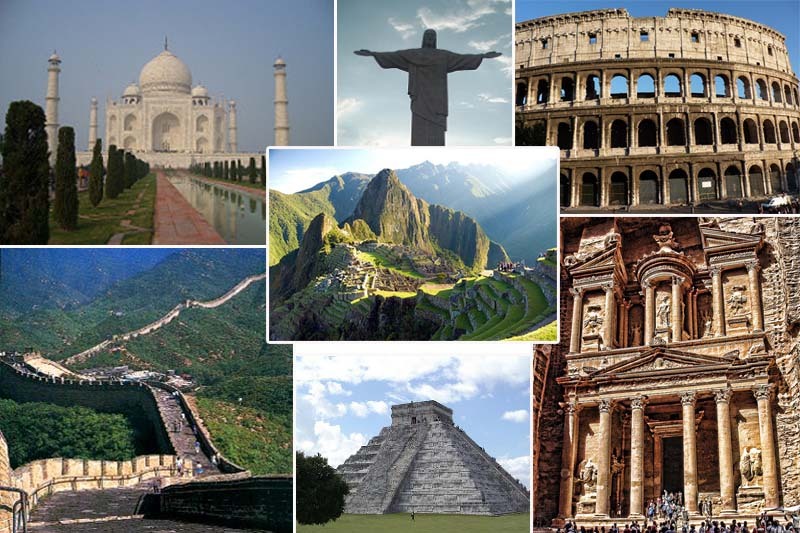 Although many people do not know, there are “the 7 wonders of the modern world” and “the 7 wonders of the ancient world”. Being a total of 14 different wonders. However, of the ancient wonders, 6 have disappeared, remaining alone, the great Pyramid of Giza. 1983: Declared as Cultural and Natural Heritage of Humanity by UNESCO. 2008: Led the list of the 22 best-selling tourist destinations in the world. The veryFirstTo.com luxury website chose Machu Picchu among the 20 most beautiful sites, which in turn are a World Heritage Site. National Geographic Traveler included Machu Picchu on the list of 50 destinations of a lifetime. Lonely Travel considers Machu Picchu to be one of the 10 most representative constructions of the World made by the hand of man. 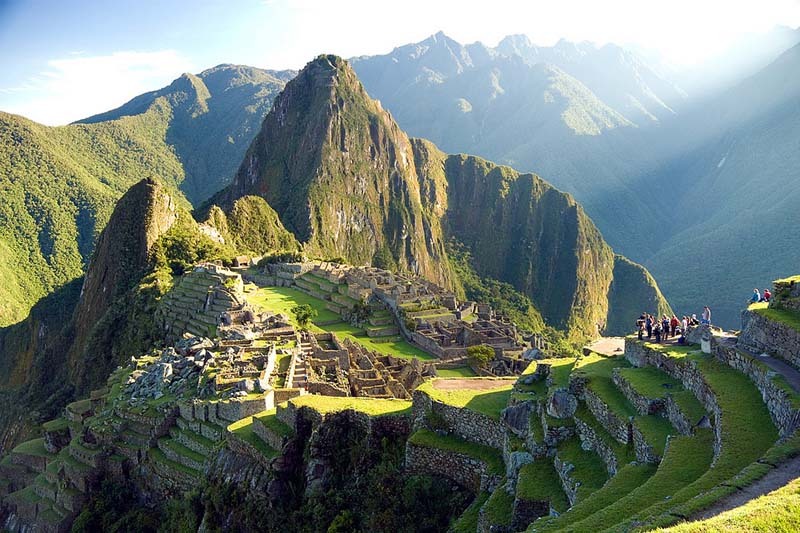 Machu Picchu, chosen best Green Destination by the World Travel Awards. 2014: Machu Picchu is considered one of the most photographed places in the world, by Sightsmap and Panoramio by Google. 2016: Machu was declared the best destination in the world by the world’s largest traveler community, TripAdvisor.